Mamma shadow, daddy is dead, pull the thread I’m good as dead. 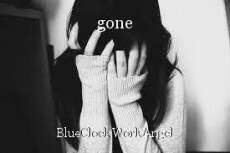 © Copyright 2019 BlueClockWorkAngel. All rights reserved. "High School Football Stadium, Alone"
This page was created in 0.4876 seconds.